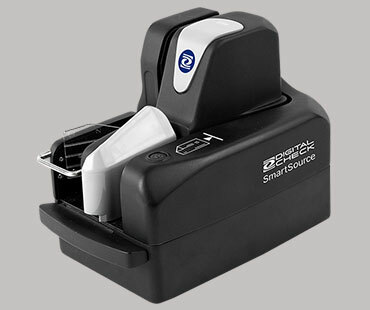 The premier teller and branch capture scanner in the SmartSource line is now available in a network model! The SmartSource Expert Elite combines the high speed and compact footprint of the Elite Series with the network functionality of the SmartSource Expert to deliver a connected in-branch scanning experience. Onboard processing and image compression mean the Expert Elite can communicate over an Ethernet connection with any PC on the branch network, without any loss of performance. Installation is easy – the onboard processing means there’s no need to install USB drivers or API software. If your software supports the SmartSource Expert Elite, the end user can just plug it in and it’s ready to go!